If you have traveled to the State of Illinois for a work opportunity, the laws here concerning your rights following a workplace injury can be drastically difference than those in the state you live in. One of the mistakes that many injured workers make is returning home before consulting a qualified Chicago work injury attorney to learn what steps they need to take to protect their rights. Rosenfeld Injury Lawyers LLC is qualified to help you determine an appropriate course of action and has the resources to help workers living in numerous states across the country. If you or a family member was injured while working out of state you are likely entitled to workers compensation benefits. Contact the workers compensation attorneys at Rosenfeld Injury Lawyers LLC for more information and a free review of your legal rights and options. We know that if you have been injured, you need access to quality medical treatment right now and cannot wait for a settlement offer or judgment while handling your physical recovery. This is why we will help you file your worker’s compensation claim in the meantime so that you can receive the medical care and lost wages you are guaranteed by the state while you pursue further legal action against a negligent contractor or employer. It does not matter if you live out of state, as we have represented clients throughout the Midwest and the nation. Our Chicago workplace injury lawyers have successfully recovered millions of dollars in compensation for our clients, who have lived both in and out of Illinois. You do not need a lawyer living in your state of residence to be able to file your claim for you, which is why it is much more beneficial for you to retain the services of an attorney who is knowledgeable on Illinois law and how it applies to your case. Our team of lawyers has experienced working with the following types of claims. 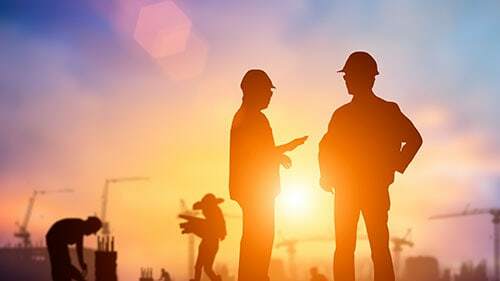 Construction accidents involving workers performing work on residential and commercial projects, demolition, road work, bridge construction and high-rise complexes. Worker’s compensation claims for workers who live abroad who have traveled to the United States for employment. We have been able to represent these clients with very little need for them to continue traveling to and from their homes during the legal process. Claims for steam fitters, plumbers, electricians, carpenters, construction cleanup workers and machine operators. Third-party claims pursuing damages due to negligence or failure to warn of dangers. Wrongful death claims on behalf of the families of workers who have died due to a workplace accident. When a worker dies in Illinois, it is important that your attorney is experienced with applicable state laws when handling these types of cases. Since most of the cases we handle are settled before they ever go to trial, we have the ability to represent you while you are outside of the state. If your case does proceed to trial, you may be required to return to Illinois for a deposition and the subsequent trial, but we can assist you with coordinating all travel to and from Illinois for the purpose of your claim. Rosenfeld Injury Lawyers LLC is a leading advocate for workers’ rights in the State of Illinois. We are confident that we can recover the maximum amount of compensation for you that the law will allow and guarantee to deliver results, or our services are completely free of charge. To learn more about your legal options, we invite you to arrange a risk-free consultation with one of our award winning Chicago workplace injury attorneys today so that we can gather the information and evidence needed to devise the most effective legal strategy for your case.